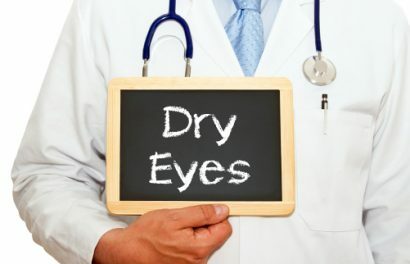 Dry eye syndrome is a common eye condition marked by an insufficient flow of tears. 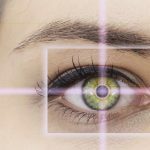 It typically affects both eyes and can cause serious discomfort manifesting in a stinging, itching or burning sensation. The eye relies on tears to maintain a healthy environment. Tears are secreted from glands around the eyes called Meibomian glands. These glands produce a healthy tear film that lubricates the eyes via oils, moisture and mucous that help to spread the tear layer evenly across the front of the eye. (Blinking also helps to maintain an even tear film.) The tear layer even helps to fight infection thanks to its antibodies and proteins. 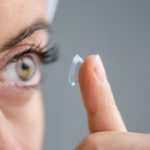 A smooth tear film also creates an efficient optical surface on the cornea providing for better visual clarity. Dry eye has a variety of signs and symptoms. 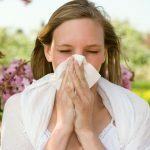 These symptoms are typically more pronounced under certain climate conditions, such as dry or windy weather, high temperatures and/or lower humidity. Eye strain can contribute to dry eye, so it’s not uncommon for signs and symptoms to be more pronounced at the end of the work day. If your symptoms do not subside, or your condition or discomfort worsens, visit an eye doctor. A number of treatment options are available for dry eye. The type of treatment depends on the underlying cause(s). The most readily accessible and common treatment for dry eye is over-the-counter eye drops (artificial tears) applied two to four times per day. 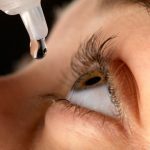 Although eye drops may provide relief from the effects of dry eye syndrome, they may not address the underlying cause of inadequate tear production, making them little more than a temporary solution in some cases. Prescription eye drops containing corticosteroids to reduce inflammation of the cornea. Antibiotics to reduce gland-inhibiting inflammation of the Meibomian glands. Cholinergic drugs to help stimulate tear flow (e.g. pilocarpine). Closing the tear ducts with silicone plugs (also called punctal plugs) to block tear drainage and keep moisture on the surface of the eye for longer time periods. Surgery to permanently close the tear ducts to keep tears from draining too quickly. Dissolvable eye inserts placed between the lower eyelid and eye. These provide similar relief as eye drops, but over a longer period of time. Prescription of an alternate medication (if your meds are a cause of dry eye). Taking a supplement of Omega-3 fatty acid (fish oil). There are a number of steps that you can take to help avoid dry eye. This includes cleaning the air filters in your home or workplace, avoiding prolonged exposure to the sun and/or dry weather conditions, and limiting the amount of time spent staring at digital screens. 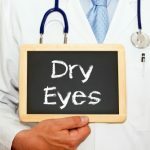 Speak with an eye doctor to learn more about the symptoms and causes of dry eye, treatments for the condition and the best ways to prevent it.